There's no doubt you will have heard the songs of Frankie Valli and the Four Seasons as they have sold 175 million records worldwide and their songs have gone on to be covered time and time again - but do you know the fascinating story of their lives? 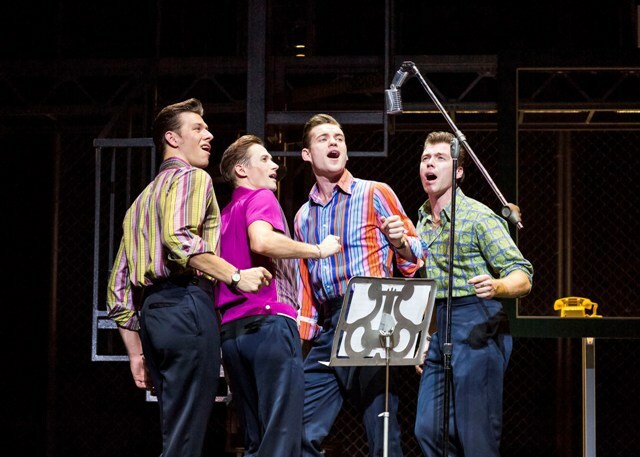 It is these true-life frenetic friendships, gambling addictions and romantic liaisons that make Jersey Boys more than just an average jukebox musical. Instead it is a vibrant personal journey of four lovable and very different buddies from New Jersey who go from singing under a lamppost to being inducted into the Rock & Roll Hall of Fame. 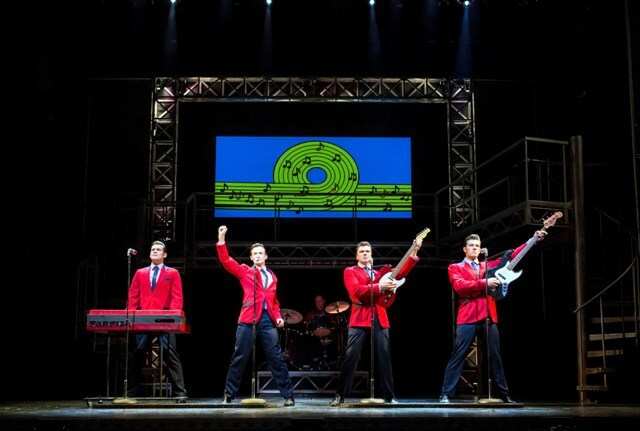 Jersey Boys is more than just a jukebox musical. 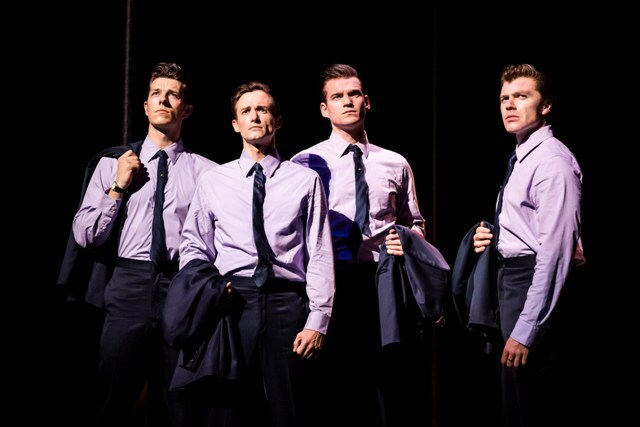 Jersey Boys has already secured success in Broadway and London's West End but now it is heading out for its first tour of the UK to cities including Manchester, Bristol and Oxford. I caught the show at Birmingham's New Alexandra Theatre, where it stays for the Christmas season until January 4. It catches you off guard in the opening scene when a rapper comes out singing one of their hits in French, but then band member Tommy DeVito magically appears to take the audience back in time after reminding them that Frankie Valli and the Four Season's hits are still being sung and topping the charts well into the 21st Century. Starting from the beginnings of the group in New Jersey, its easy to grow fond of each of the singers - Frankie Valli, Bob Gaudio, Nick Massi, and the most troubled of all, Tommy DeVito - as we see the near misses, the brushes with the mob (and prison) and what led to their ultimate fallout. There's even a young Joe Pesci before he became a movie star in there for good measure too. The action is constant and fluid, quickly moving from scene to scene linked by fine songs including Sherry, December, 1963 (Oh What a Night), Big Girls Don't Cry and Bye Bye Baby. The back catalogue of hits seems endless and is incredible to think that they achieved this success before they had even reached the age of 30. The highlight of them all is a performance of the song that almost never made it - Can't Take My Eyes Off You. The music, slick dance routines and recreations of live shows and television appearances adds to the razmatazz and help the performance fly by. There's also some clever choregraphy using TV cameras where the live show on stage appears on a screen in black and white the way it would have to television viewers in the 1960s. What makes it even more special is the talented cast. Tim Driesen as Frankie Valli impressively recreates the lead singer's high pitched tones. He previously played Frankie Valli for a short season at the Prince Edward Theatre in the West End too, so has had plenty of practise in perfecting the role. Meanwhile, Lewis Griffith's deep voice as Nick Massi is as wonderfully low as Driesen's is high, even when he speaks. Then there is Sam Ferriday as Bob Gaudio and Stephen Webb as Tommy DeVito, who are equally as watchable as the foursome change from one sharp suit to another as their success grows. Flitting between highs and lows, this show obviously resonates with an older crowd that remember the Four Seasons during their heyday, but it's a well oiled production mixing comedy, drama and music that also makes it entertaining for younger audiences. You may not know much about the back story of Frankie Valli and his friends before you go into see this theatrical giant of a show, but by the time you come out, you'll be glad you do now. 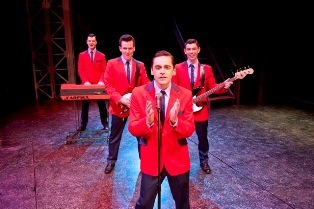 Tickets cost from £17.90 to £60.90 from the Jersey Boys UK Tour website or the ATG Theatre Ticket Website.